After having started in 1860 as a business that made wheel hubs and bent stock, the Sandusky Wheel Company was incorporated in 1867. Eventually it became an important manufacturer of wheels and wheelbarrows, and had over 200 employees. 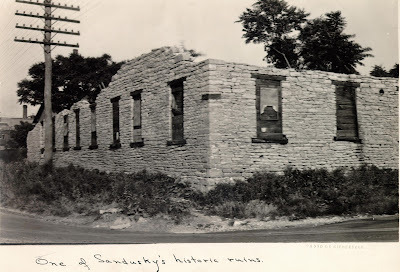 The entire stock and shops were destroyed by fire in 1872, but the company rebuilt and the business was back in operation by the summer of 1873. 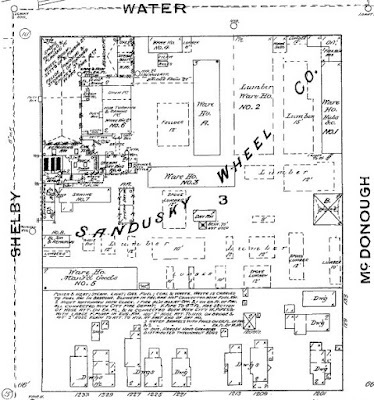 The 1886 Sanborn Map below shows that the Sandusky Wheel Company took up a large portion of an entire city block, along Water Street between Shelby and McDonough Streets. Besides wheels, the Sandusky Wheel Company made all the wooden components for buggies, carriages, and wagons. 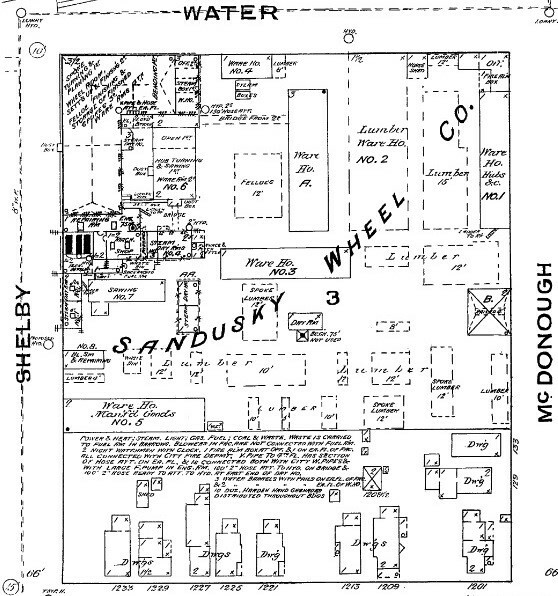 A variety of woods, in different qualities, allowed for a full range of pricing for the vehicle companies that sent orders to the Sandusky Wheel Company. 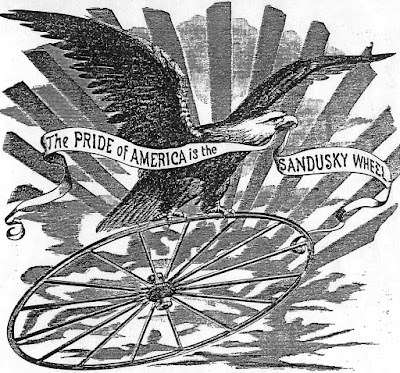 In 1889, the Sandusky Wheel Company became a branch of the American Wheel Company, which had its headquarters in Chicago. By the mid-1890s, the company was known as the Standard Wheel Company. On the evening of July 7, 1900, the Standard Wheel Company was destroyed by fire, with losses estimated at $100,000. In the 1920s, ruins of the former company were still standing.